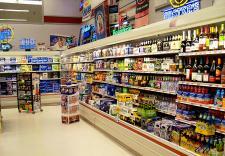 We have a great selection of beer and wine, all at state minimum prices. Whether you are in the mood for a great bottle of wine for dinner or need some of your favorite beer for the tailgate, you can find it here. We also have your favorite mixers!